The eight-year delay in the execution of the Abohar-Fazilka rail link resulting in the project cost overrun of more than three times the original estimate of Rs 86 crore is quite normal, going by the railway standards. The rail link has been almost completed but not made operational for no apparent reason. The Chandigarh-Ludhiana rail track has been lingering for the past 20 years. The Chandigarh-Amritsar Duronto train, started after much dithering, remains one of the slowest. Ever since the drive for rebuilding Afghanistan began after large-scale devastation in the wake of the US-led multinational campaign against terrorism, India has been pursuing a policy of promoting economic activity for establishing peace in the strife-torn country. The entire cartoon controversy is scripting a burlesque. Unfortunately, it has failed to humour the denizens of the 21st century. Though not taken seriously, V S Naipaul had a hypothesis. He said the best that humanity could offer in the fields of fine arts and literature had already been produced. One fears one more genre will be added to this hypothesis — the art of cartooning. Yet another anniversary has come. The Simla Agreement was signed by Indira Gandhi and Zulfiqar Ali Bhutto 40 years ago on July 2, 1972. Here is, however, a minor quibble. It was actually signed after midnight; so, technically on July 3. Have its provisions been implemented? Short answer, ‘No’. Does it still have any relevance? Short answer, ‘Yes’. And that provides the reason for delving further into these questions. Once upon a time June was my favourite month. I kept my eyes peeled to see Red Riding Hood scooting through the forest with the wicked fox close in tow as the bus meandered through the hill roads to take us, usually me and my mother, to a home away from home. Translations are suddenly hot property. The reason is simple. More works from various Indian languages, for some bizarre reason called bhashas, are being translated into English than ever before. I fail to understand how literature can be written without a bhasha (language) even if it is hybrid English. That too is an Indian bhasha, though the region of its speakers is not fixed by geographical territory but by the number of university educated graduates in India. Additionally it is the language of some Western countries, including the super power America. It is because of its status as the bhasha of the elite internationally that translations into English generate so much debate. Of all the Central departments, the Railways is the worst performer in project delays, according to the 36th report of the parliamentary standing committee of the Ministry of Statistics and Programme Implementation. The longest pending is the Howrah-Amta-Champadanga rail project, which was announced in the 1974-75 budget. In total, 147 projects involving an investment of Rs 1,26,174 crore are held up. Between 1990 and 2007 the Indian Railway built 960-km tracks compared to China’s 20,000 km. The reasons for this shoddy performance range from delays in land acquisition and environmental clearances to lack of funds and partisan railway ministers. A railway minister is no longer appointed on merit. In the present coalition era, the Prime Minister has a limited say in his or her selection. There is a petty fight for ministries and the Railways is one of the most sought after. Its misuse is blatant. Maximum railway jobs and projects go to the minister’s home state. West Bengal and Bihar are the recent beneficiaries. The Railways’ neglect of the North has other reasons. While people demand, and at times hold protests, for rail services, as train fares are cheaper than bus charges, Punjab MPs and MLAs rarely voice public grievances. This may be because Punjab politicians have interests in public transport and there is a clash of business interests. None has shown any enthusiasm in pushing either the Chandigarh-Ludhiana rail link or the 1,839-km dedicated freight corridor from Ludhiana to Dankuni in West Bengal or its extension to Amritsar and Attari. Fast and cheap rail connectivity can revive sagging regional growth apart from benefiting passengers. The idea has been that if people have enough opportunities to earn their living through honest means, they would not get involved in destructive activities. The same idea can be seen behind the one-day investment conference that was organised in New Delhi last Thursday by the External Affairs Ministry in collaboration with the Confederation of Indian Industry (CII) for convincing potential investors to set up industrial units in Afghanistan. India succeeded in getting participation from at least 33 countries. They all agreed with the Indian view that trade and investment can be highly effective in promoting stability in Afghanistan. There is no dearth of investment opportunities in Afghanistan. Hydrocarbons, mining, infrastructure development, agriculture, industry, the services sector, etc, require large-scale investment. India is already involved in infrastructure development in Afghanistan in a big way. It has so far invested over $2 billion and built a major highway which connects large parts of Afghanistan to an important Iranian seaport. India has also built hospitals, schools, power projects, etc, to help Afghanistan move faster on the road to growth. But India realises that as a traditional friend of Afghanistan, it needs to do more and hence the latest investment initiative by New Delhi. There are, no doubt, security-related problems which can discourage investors from setting up industrial units in Afghanistan. There is uncertainty about the security scenario after the troop withdrawal by the US and its allies by July 2014. But going by the change in the attitude of the Taliban vis-a-vis India, and the Afghan masses’ appreciation of growth-related activities of foreign countries, one can hope for a better atmosphere for investment in that country. In a commentary on its English website, the Taliban appreciated historical ties between India and Afghanistan and sought to build “cordial relations” between the two countries on the basis of “no interference in each other’s internal affairs”. This is a significant development, which indicates that Afghans will welcome investment-related activities through India’s inititive. For decades our film makers treated us as a society of juveniles, by showing a pair of birds or flowers to substitute love making between an adult man and a woman. Our censor board believed that by doing so they were guarding the moral fabric of society. We still grew up to be a billion plus country and corrupt too. It is sad that for using innovative methods in pedagogy, our HRD Minister had to seek apology from the nation over a 60-year-old cartoon. This apology will translate into dwarfing of any attempt to innovate and experiment in our staid education system. This apart, by accommodating all sorts of demands and interferences in our pedagogical approaches and syllabi, which are designed by experts after enough deliberations, we are weakening our institutions run by professionals. Our education system can either be productive or populist, we need to decide. Now, the demand for removing an anti-Hindi agitation cartoon from NCERT books proves that once a wrong precedence is made, it will take to its logical end. The Simla Agreement was required from India’s perspective to establish durable peace and sanctify the principle of bilateralism with Pakistan after the India-Pakistan war of 1971. It ended in the east with the excision of East Pakistan and the emergence of Bangladesh. In the west, Pakistan gained some territory across the ‘ceasefire line’ beyond the Munnawar Tawi river in Chamb, and some ‘pimples’ of territory across the international border in India. A status quo ante situation was agreed upon under the Simla Agreement along the international border. Captured territories were exchanged. But the areas gained across the ‘ceasefire line’ in Jammu and Kashmir would be retained. India lost territory in Chamb, but acquired valuable strategic depth in the Kargil-Dras sector, which was the theatre of the Kargil conflict in 1999. Incidentally, the ‘ceasefire line’ was deliberately re-designated as the ‘Line of Control’ in the Simla Agreement, a change in nomenclature that enabled India to end the tenure of the UNMOGIP (United Nations Military Observers Group in India and Pakistan). It was charged with maintaining peace along the ‘ceasefire line’ established by the Karachi Agreement (1949), but was found very irksome by New Delhi with its frequent calls for site inspections and constant nitpicking about border violations. The two major decisions taken by New Delhi (read Indira Gandhi), and incorporated into the Simla Agreement that drew most flak were to return the territories captured by India across the international border and to return the 93,000 (mostly military but also civilian) prisoners of war (POWs) to Pakistan. The popular belief is that Indira Gandhi showed naïveté, and was deceived by the wily Bhutto’s nebulous promise during a one-on-one meeting that he would work towards converting the new ‘Line of Control’ in Jammu and Kashmir into an international border. Is this true? Three lines of argument are possible to question these popular myths. First, it must be appreciated that Indira Gandhi had an inherited sense of history. She realised that imposing a victor’s peace on Pakistan would only ensure its enduring hostility in future. The humiliation of Germany in the Treaty of Versailles (1918) almost guaranteed the recrudescence of hostilities and World War II in 1939. It is another matter that the Pakistan Army, disgraced after 1971, quickly regained its primacy in Pakistan and is obsessed with the desire to avenge its humiliation. It did not allow India-Pakistan relations to normalise then. Or, ever after. Second, the return of the captured territories and the POWs was equally informed by hard-headed calculations. New Delhi had consistently argued all through 1971 that its support to the Mukti Bahini and the insurrection in East Pakistan was an act of humanitarian intervention - indeed the literature recognises this humanitarian intervention by India to be a ‘just war’. It would have been disastrous for India to have held on to the captured territories thereafter for any base motive like bargaining for political advantage. Third, the decision to return the POWs was equally pragmatic. For one, they were, in Bhutto’s memorable words, ‘a wasting asset’. The longer India kept them, at considerable expense, incidentally, to itself, the greater the opprobrium it was attracting, since many of the POWs were women and children. Besides, if India was to use these POWs as hostages it needed to remember that Pakistan was holding a large number of Bengali (Bangladeshi) military and civilian personnel as hostages to ensure the repatriation of its POWs by India. Furthermore, Bangladesh had incarcerated a huge lot of Bihari Muslims in camps around Dhaka, who needed to be transferred to Pakistan. Matters were further complicated by Sheikh Mujib’s strong desire to hold war crimes trials against senior Pakistani officials. It took much persuasion by New Delhi to talk him out of this insistence. Ultimately, a three-way repatriation of the POWs to Pakistan, Bengali (Bangladeshi) military and civilian personnel to Bangladesh, and Bihari Muslims to Pakistan was negotiated in 1974 to resolve these thorny issues. Another controversial issue pertaining to the Simla Agreement is whether Bhutto had reached an understanding with Indira Gandhi to convert the ‘Line of Control’ into an international border, and that he reneged from this offer. Nothing, obviously, is inscribed in the Simla Agreement. New Delhi’s beliefs are largely based on P.N.Dhar’s account, written in 1995, about the one-on-one meeting between Indira Gandhi and Zulfiqar Ali Bhutto in which he is believed to have made this offer. Dhar informs that Indira Gandhi told him about this promise immediately after the meeting. Abdul Sattar, who later became Pakistan’s Foreign Secretary and was also in Simla when the Agreement was finalised, has flatly denied that Bhutto made any such promise. When interviewed by me many years later, P.N.Haksar had an enigmatic answer regarding Dhar’s account: “Was he present in the meeting?” We shall never know what transpired in that one-on-one meeting. But, more disconcertingly, the Simla Agreement had also enjoined the Heads of State to meet again to reflect on all these issues, which was to be preceded by their representatives’ meeting earlier for this purpose. These meetings never took place. Judging by subsequent actions, however, Bhutto did move some way towards converting the ‘Line of Control’ into an international border. The Northern Territories were incorporated into Pakistan, and ‘Azad Kashmir’ (Pakistan-Occupied Kashmir) was made a province of Pakistan in 1974. For its part, New Delhi installed Sheikh Abdullah in Srinagar and initiated some steps to draw Jammu and Kashmir more closely into the Indian political structure. These steps were probably designed to imbue the ‘Line of Control’ with the attributes of an international border. Then, why did this process stall, and not continue? The short answer is that both the main protagonists of the Simla Agreement became distracted and embroiled in internal affairs. A virulent drought situation, the railway strike, and JP’s Nav Nirman Movement claimed Indira Gandhi’s attention over 1973-74, later leading her to declare the internal Emergency in mid-1975. Bhutto was similarly required to deal with serious disturbances in Balochistan. The Pakistan Army had to be called out, which greatly assisted their rehabilitation, and return to their earlier position of centrality in the country’s polity. The quirk of circumstances, therefore, rather than any lack of will adversely affected this process. What is left then of the Simla Agreement? Should it be consigned now to the dustbin of history? This would be a hopeless overreaction. Article III, relating to the restoration of relations between India and Pakistan, lays out the full spectrum of normalisation measures that need being pursued. They include establishing greater communications through all available means, promoting travel facilities, resuming trade and economic cooperation, and exchanges in the fields of science and culture. Only the slightest reflection would reveal the distance that remains from realising these goals to even a minimal extent. It was where a stern old woman changed to a silver-haired doting grandmother for her favourite granddaughter, awaited my arrival sitting in the porch of her British-style mansion in quaint Clement Town with her adopted stray dog, Jimmy, at her feet. That’s the way we found her when I shouted “Biji” from the gates. Always. Vacation after vacation. She stocked her kitchen with enough rajma and rice, my staple food, prepared enough dosa batter to last me a couple of days and made a tin-full of mouth-watering doughnuts to gorge on all through my stay. The holidays went by chasing after fireflies that lit up the night and watching the stars wink at me while the cool breeze embraced me in a hug of belongingness as I sat on the porch steps. It was like I would only blink and the days would melt into the evening. Climbing trees to pluck the juiciest litchis that ever grew, walking along the thick tree-shrub boundary with a stick to pull down plump pears, picking wind-blown ripe mangoes that lay strewn on the grass bed under its trees every morning, helping Biji pull out water from the well (regular supply then was as erratic as it is now), a ride in a tempo (slightly bigger than an auto-rickshaw), buying new clothes and the days were gone. The vacation was over and it was time to pack our bags and return to reality. But we never came back alone. Along with us came bags full of rice and a big sack of litchis, crispy much-in-demand rusks from a local bakery and loads of love only a grandmother can bestow. It was one fun holiday that most children could have only dreamt about. But nothing lasts forever and, one day, Biji was no more. I was in the last year of college. She passed away. Today, she lives on in the sweet memories of my childhood — in our laughter that rang through her house as we joked, in our reflection the well waters captured every time we bent over to pull out a pail, in the raindrops that juiced up the litchis and the nights that witnessed the closeness that threaded through three generations. Vacation is no longer fun. Those times have gone, those days are long over. Not because the flip side of being grown up is that summer vacation seems an illusion but because I have a daughter who can’t go visiting her grandmother ever. Her grandmother doesn’t live here anymore. And I fear most that moment of every vacation when teary-eyed, she asks, “Mama, Nani does not stay at nani’s house. Why? Didn’t she want to be with me and play with me?” Tears are my only reply and a hug to her my only consolation. And, then, we pretend to distract each other since vacation end is also that time of the year when we gift her grandmother and my mother the only “present” we can — a garland of red roses and a lunch with her favourite food on the menu. It is for her picture. On her death anniversary. As our offering after the prayer and havan. It marks the end of the summer vacation and the beginning of July for us. 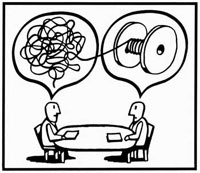 The translator has to internalise the original author's world -view in order to make the reader empathise with the content that goes beyond language. There are other languages, including the Indian languages like, Hindi, Tamil, Bengali et al, which are written and spoken in countries, outside the boundary of India, mostly by expatriates or denizens of university departments and Cross-Culture Study Centers. But they are not heard or read to the same extent as English and have restricted impact on the power structures of the world. Therefore, translation activity of these languages generates little excitement. As for the other Indian bhashas, there is a long history of inter-translation of their literatures, and it is an integral component of pan-Indian literature. For decades Hindi has enjoyed the distinction of being the largest recipient language of translated literatures. Like other readers of Hindi, I had the advantage of reading most stalwarts of Indian literature; from Bibhutibhushan Bandopadhyaya to Ananthamurthy in Hindi translation. Simultaneously I also read diverse language writers-- from Dostoevsky to Marques in English translation, which thankfully I understand. If we look at the number of languages in which written literature has been available for centuries, India would surpass Europe. But there is a crucial difference. No one dares to call French or Spanish literature ‘regional’, as is done to the vast, vibrant and relevant Marathi or Malayalam literature with impunity. That is why a translation of a Hindi, Bengali or Malayalam work into Marathi or Tamil (deemed regional languages) does not generate the kind of debate as does English translation of a work. There are other reasons too which cannot be ignored. First, the current heightened interest in translations is due to a sudden spurt in awards for works translated in English. I had long campaigned for awards to include translations for wirings in English from India, Asia and the Commonwealth, as part of mainstream writing, and not as a separate category. It seemed logical considering that we read most world-wide literary texts in translation. The Nobel Prize goes to translated texts, more often than not and no one has ever demanded a separate award for translations. Unfortunately many Indian English writers continue to insist that translations should occupy a separate space. Second, the debate stems from the fact that unlike inter-translations of other Indian languages which share a common cultural and linguistic heritage, the use of English requires both a different culture index and a less intuitively familiar idiom. Let me give you a concrete example. During the translation of my Hindi novel ‘Anitya’ into English, we came across a sentence which said, the British sergeant's rifle hung limp like the bhisti's (water carrier) empty mashq (goatskin water bag). Using the "correct" English words would have totally destroyed the nuance of helplessness of the British might before the non-violent protest, so we had to look for suitable alternatives. I recalled Kipling using the word mussick for mashq in his poem ‘Gangadin, the water carrier.’ I wanted to use it. The editor felt that the modern generation would not get it. I agreed after a brief discussion. We ended up saying,' the British sergeant's rifle hung limp and useless.' On hindsight I regret not using the resonant equivalent mussick given to us by Kipling and settling for what the reader would or would not get. I'm sure every translator has a few stories like that to tell. Personally speaking, while reading translated fiction, I am more concerned about absorbing and decoding the original text rather than observing the intricacies of translation. A translator faces the dilemma of keeping the ‘otherness’ of culture context alive in a foreign language, or, to translate the nuances into the metaphors of the target language( the language in which a text is being translated). While reading authors like Anais Nin and Camus in translation, I did find the English used somewhat strange. So I proceeded to transform the text mentally as I read it. Later when I had a chance to read better translations of authors like Dostoevsky and Camus, it brought two important reflections to mind. First, the peculiarity of the English language used added to its richness and ability to conjure a new world with an unusual ambience and unfamiliar or atypical mores of social and personal interaction. Newer and more powerful metaphors and images were invoked. For example, ‘raining cats and dogs’ got transformed to ‘raining heaven hard,’ definitely a more evocative term. Second, I do not agree with the thesis put forward by the veteran translator, Raji Narsimhan that an English translation must not read like an original work; the reader should be aware throughout that he is reading a translation because only then could the otherness inherent in the text become apparent. I believe that the otherness of characters, cultures, values etc remain intact even in translations which use the accepted English idiom fluently, without excessive use of words from the local dialect/ language. This is so because otherness is an integral part of fiction. It is present in equal measure not only in translated but also in original works. When I choose protagonists from USA, England, Scotland, Kerala or Bengal in my stories, they represent the other in the same way as characters in a translated work do. Even when the protagonists hail from the immediate neighbourhood, they possess traits of the 'other' unless they are stereotypes. And we all know that the purpose of literature is to debunk or deconstruct stereotypes rather than celebrate them. I would go to the extent of saying that even if I write in first person singular about myself, the other is present in my image of myself. Rather, I am the ‘other’ but I neither know myself or the other. That's why I feel the need to write to help me explore the other within me and parts of myself in others. Otherness then is the very life blood of literature, as it is of life. The freedom to be other than what one is expected to be by the established mores. The other finds expression in the content of the work, not just the language. The translator thus, has to internalise the original author's world view in order to make the reader empathise with the content that goes beyond language. Many Indian writers who write in English maintain that certain stories ‘lend’ themselves to English translation, while others do not. The unspoken assumption is that since English is the language of the educated or powerful minority in India, it can portray only two types of texts! One, intricate accounts dealing with the emotional and cerebral complexities pertaining to the mindscape and lifestyle of the urban elite, who in any case think and speak in a mix of their 'mother tongue' (bhasha to the English speaking world) and English. Two, simplified hence clichéd accounts of exploitation of the children of lesser gods, who know no English. These are deemed translatable in an English idiom honed to clichéd perfection through commiseration rather than genuine understanding. To say that is to perceive English as a feeble and static language, incapable of acquiring and assimilating new idioms, images and metaphors. We know it is not so. English language has modified itself to accommodate the culture specific metaphors of the Continents of Africa and Asia with a fair degree of competence and liberality in the past few decades. The idea that certain works lend themselves better to English translation than others carries the seeds of a frightening possibility. 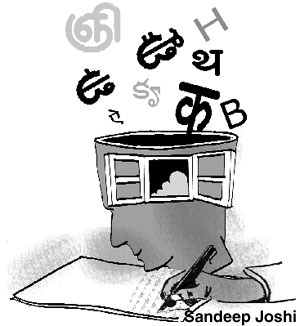 If other bhasha writers come to believe it; they may, in the hope of a wider audience and lucrative prize monies, take to writing linear texts with surprise endings and popular appeal to facilitate English translations instead of the multi-linear and rooted texts with universal literary appeal, that they write currently. To my mind, works neither 'lend' themselves to translation nor can they be 'borrowed' by other languages. They have to be acquired and internalised and made their own by the translators. This places an onerous burden on them. They have to be creative, yet make their creative ego subservient to that of the writer of the original text, even when he is of a lesser talent than the translator. I agree with the 2010, Nobel Laureate, Mario Vargas Llosa that if a great work of fiction cannot be translated, it is not a great work. But its eventual translation of course hinges on the hope that there are some great translators out there somewhere. Why international publishing houses go desi ? l About one-third of Indian book readers read in Hindi and not English. Then, there are the regional languages. l Yet, English authors are the ones who get more money and opportunities to be published than those who write in Hindi. l To make the best of it, Penguin Books India, the largest publishing house in English published 130 vernacular books since 2005. Of these, 76 are in Hindi. The number seems small when one considers that it brings out an average of 200 new titles in English every year in India. l Vernacular publishing comprises almost 20 per cent of India’s annual domestic production. l English titles comprise almost 40 per cent of India’s annual domestic publishing in terms of copies, and about 50 per cent in terms of value. The remaining is accounted for by regional language publishing, carried out by thousands of big and small publishers scattered across India.